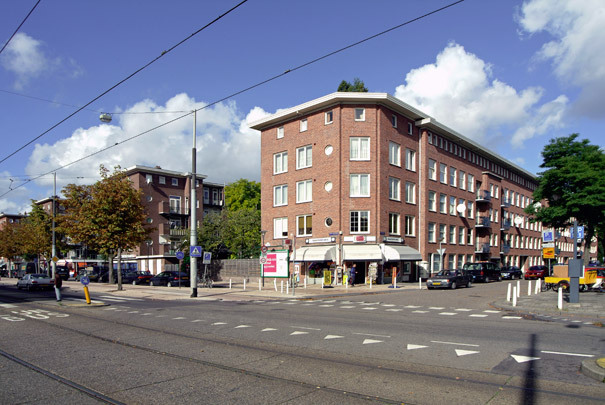 This development area was the first step in the Algemeen Uitbreidings Plan (General Extension Plan, 1934-1939) masterminded by C. van Eesteren, which subjected urban design to analytical scrutiny. This first comprehensive realization of a district of row housing began as a collaboration with Merkelbach and Stam. When it proved a question of squeezing traditional dwelling types (both narrow and deep) into insufficiently wide streets (as dictated by a few over-powerful politically backed building companies) the two withdrew their services.